Recreational hockey players got to live out their childhood dreams by skating with former NHL stars and being treated like pros themselves. It’s definitely not an everyday experience, but at the Mike Keane Celebrity Hockey Classic, it’s all par for the course. This year’s event was held February 14-15, beginning with draft night where participants had the thrill of drafting 16 NHL alumni, including Denis Savard, Paul Coffey, and John LeClair. 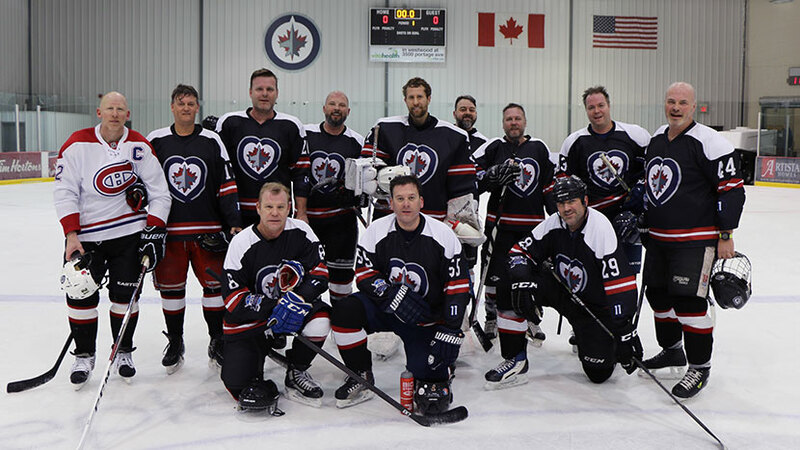 After an evening spent getting to know their celebrity teammate, teams hit the ice at Bell MTS Iceplex for a full day of hockey and locker room stories – from their pro hockey-style dressing room. On top of the camaraderie and bragging rights, participants were treated to a hot stove discussion with the NHL alumni. Thanks to the fundraising efforts of thirteen teams, the 8th annual Mike Keane Celebrity Hockey Classic netted more than $260,000 for the True North Youth Foundation and Continuity Care.